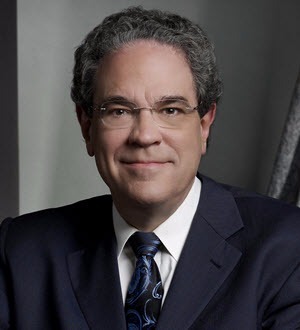 Richard Orsinger is one of the highest-rated attorneys in Texas, offering a dual board certification in both Family Law and Civil Appellate Law. He was recognized in 2011 and 2012 as Lawyer of the Year in Family Law in Dallas by Best Lawyers. As the third-highest vote-getter in the Texas Super Lawyers survey, Orsinger earned a spot on the list of "Top 10 Lawyers in Texas" in 2010 and in 2012-2014. He was also named the "Top Family Lawyer in Texas" in the 2007 Go-To Guide published by Texas Lawyer newspaper. In addition to personally representing clients, Orsinger often assists attorneys from other firms in complex jury and non-jury cases, particularly those involving complicated property disputes or cases in which financial or mental health experts will play a prominent role. He is one of the few attorneys listed by The Best Lawyers in America in both Family Law and Appellate Law. A frequently sought-after lecturer, Richard speaks on Family Law, business valuations, trial and appellate procedure, evidence and law. He has authored more than 200 continuing legal education articles and has authored law review articles since 1982, as well as a 900-page treatise on Texas appellate procedure for Bancroft-Whitney Co. Orsinger is a two-time recipient of the Franklin Jones Award for Best CLE Article in 2009 and 2013 from the College of the State Bar of Texas. He was Chief Editor of the State Bar Family Law Section's Expert Witness Manual, and was editor-in-chief of the State Bar of Texas' Practice Before the Texas Supreme Court Manual. Richard has extensive experience in jury and non-jury trials in courts across Texas. He also handles Family Law matters in appellate courts. He has appeared before most of Texas' 14 Courts of Appeals and has secured two reversals from the Supreme Court of Texas. He is a member of the prestigious American Board of Trial Advocates, an organization reserved for lawyers with extensive experience in jury trials. Richard handles complex property disputes, as well as other Family Law litigation, including child custody cases. Richard is licensed to practice law in all Texas state district courts, as well as Federal District Courts in the Southern and Western Districts of Texas, the U.S. Court of Appeals for the Fifth Circuit, and the U.S. Supreme Court. He is a 1975 graduate of the University of Texas School of Law, and earned his Bachelor of Arts, with honors, in economics from the University of Texas in 1972. He has been Board Certified by the Texas Board of Legal Specialization in Family Law since 1980 and Civil Appellate Law since 1987, one of few Texas attorneys to be board certified in two areas of law. Richard handles trial court cases in North Texas, South Texas, Austin, Houston and Corpus Christi, and appellate cases anywhere in the state.